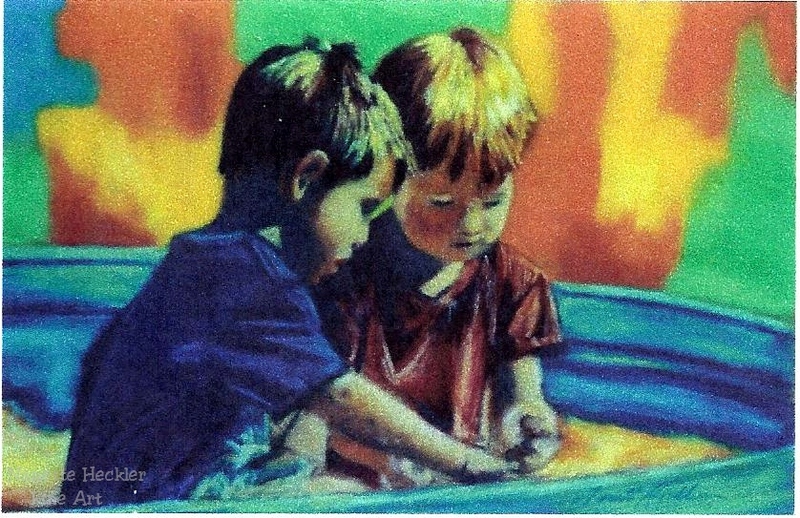 The abstract background, the way the light dances on the hair and faces of the children, and the unspoken interaction between them is a delight to me. This painting was another one that sold to a client that was unrelated to the boys. I am thrilled when my figure paintings have universal appeal, when they evoke memories or feelings in people. I aim not just to copy people, but to make a piece of fine art that speaks to the viewer.